Dr Steiner , a leading IVF specialist, made an interesting observation at a recent IVF conference, which I'd like to share .
" Dear Dr. X, during the discussion after your lecture, I asked you the following question: If your patient has only 1 follicle, how many flushes do you perform in order to get 1 egg? Your answer was: “We do not flush at all. Flushing is too time consuming ." I ask you: would it be truly time consuming for you as physician, or merely inconvenient for you? Do you think that your patient would be happier with a failure to get an egg, or enduring 10 minutes of flushing in order to get one egg? I routinely flush 1 follicle up to 10 times in order to find an egg. It seems only logical that IVF Centers use flushing methods, at least in poor responders, in the future. If we leave eggs in the mature follicles of our patients without making them aware that an adequate alternative egg collection technique exists, the time will come that these patients will choose another IVF Center .Continuing to support a rigid and ignorant older model (avoidance of flushing), as opposed to a more patient-friendly option paradigm (flushing follicles) is the intelligent and humane course, at least in the case of poor responders. " At Malpani Infertility Clinic, we obsessively flush all follicles routinely, in order to maximise the chances of recovering all the eggs the patient has grown. After all, after taking so many injections and spending so much money, this is the least we can do for her . What's the point of her growing eggs, if we leave these in the follicle ? While this may not matter much for good ovarian responders, where losing 1-2 oocytes may not matter, this can make a world of a difference for the poor ovarian responder, who only has 2-3 mature follicles. Sadly, many IVF doctors are too busy to bother to flush, because they are in a tearing hurry to finish each egg collection in 10 minutes. They take pride in how "efficient" they are, and because they batch their patients, they have to complete lots of egg collections and finish their OT list in a few hours. This is why they are not bothered about what happens to an individual egg . In our clinic, we treat each precious egg with love, care and respect. After all, that single egg can result in a beautiful baby! 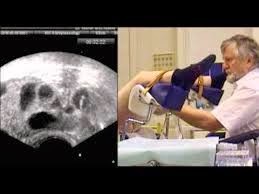 Are you upset that your doctor did not manage to collect all your eggs from your follicles at the time of egg retieival ? Please send me your medical details by filling in the form at www.drmalpani.com/free-second-opinion so that I can guide you better !